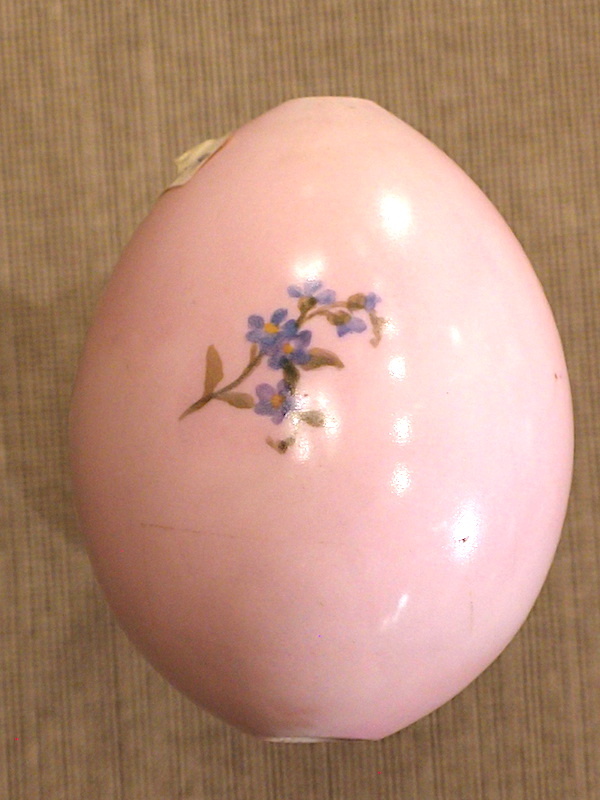 This delightful Russian Imperial period, Nicholas II, Porcelain Easter Egg is pink, and enamelled on both sides. 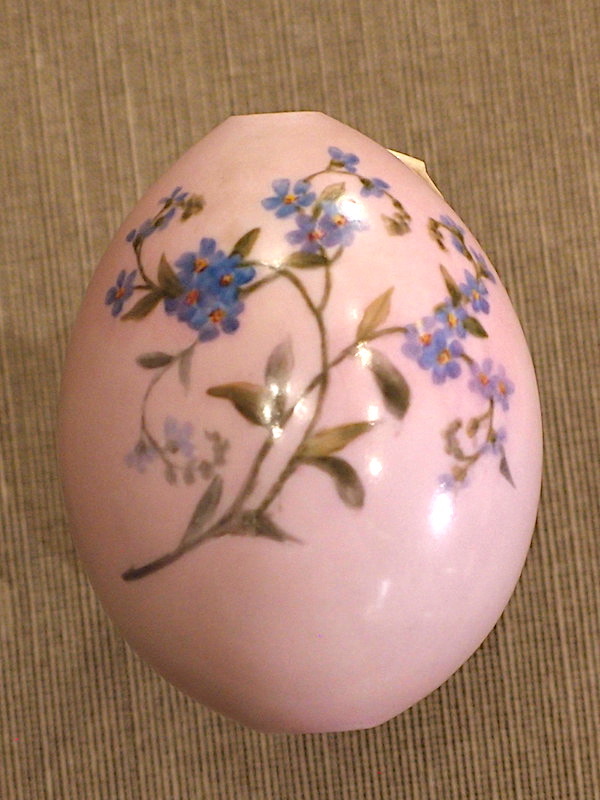 On one side there is a a large spray of blue flowers, and the other side has. a smaller reprise of the blue flowers. They are either forget-me-nots or cornflowers. 10 cm tall, and 8 cm wide.